Character style substantial home in prime Rotorua location with amazing lake and town views, a 5 minute bike ride to the world renowned Redwood Mountain Bike and walking tracks.Located 5km from Rotorua township, within 1km of major tourist attractions, including Te Puia, Whakarewarewa, and Whakarewarewa golf course. Tihiotonga is a quiet safe and secure suburb overlooking Rotorua. The home has spacious open plan living and dining areas with a seperate lounge and large executive kitchen,enjoys expansive and unobstructed views of Lake Rotorua, Mokoia Island and Mount Ngongotaha,it has 4 bedrooms and 2 lofts, Master bedroom has ensuite, Queen bed, Sky Tv,Heatpump/Airconditioner and DVD player , Bedroom 2 has 2 king singles beds and a loft, the loft has 1 double and 1 single bed, Bedroom 3 has 1 Queen bed and a loft, the loft has 1 king single bed-please note the lofts are accessible by ladder. The downstairs bed room has 1 Queen and 1 king single bed. Lounge has large flat screen TV with Sky Movies and Sport. Kitchen and social area open out onto brick patio(Bifold doors)Has covered entertainment center with BBQ and covered spa pool. All linen is hygienically hot washed. 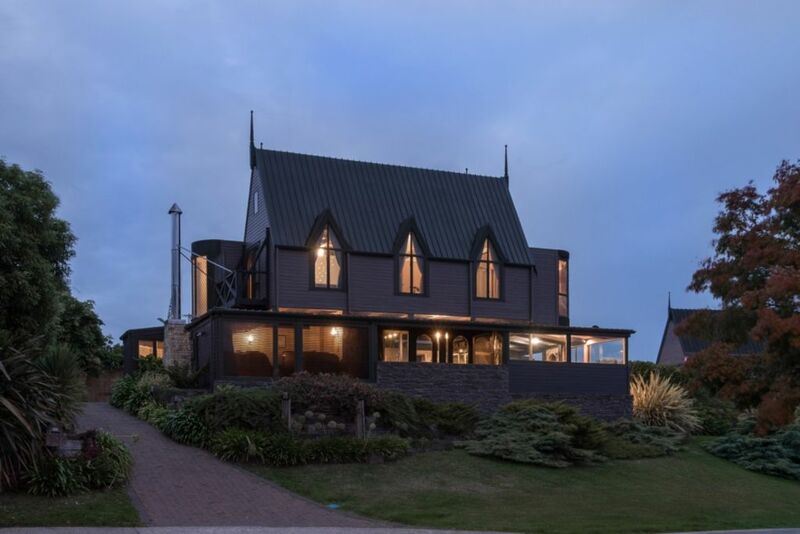 The location of the house is exceptional with a hilltop view over the town of Rotorua and the lake. The property owner/manager responded in a very timely manner. While the furnishings were somewhat dated they were comfortable. Staying in Whakarewarewa at Lake View Lodge was an absolute dream! Staying in Whakarewarewa at Lake View Lodge was an absolute dream! It was an easy location to find.. close to town but far enough that you’re never disturbed - by about 8/9pm... it’s so lovely and quiet! The property is beautifully maintained - There, you’ll find absolutely everything you could need. The kitchen especially, I found was such a pleasure to cook meals for our hungry band members and the spa was a real treat to come home to at the close of a busy job away from home! Loved it! By far the most amazing, beautiful, open home I've ever been too! Everything was exactly like the picture. Lant made it sooo easy for us and even left little messages here and there with a step by step guide into how to use certain things in the house! Honestly we have fallen love with rotorua because of this property. definately will be back next year again. Thank you soooo much!!!! Thank you Gloria, that review is very much appreciated. This place is AWESOME..This house will be the house ill come to stay everytime i come to rotorua if available.. Very nice people to have stay, highly recommend to other hosts. Amazing house - great views, relaxed and comfy vibes and fantastic entertaining areas. We loved our stay. Beautiful place to stay with amazing views and absolutely everything you could need for a holiday away. Just amazing. We will be back!